Oh you wicked, wicked plant. During the reign of Henry VIII, parliament set out to ban the use of hop. It was said to be a wicked weed that spoiled the taste of ale and would endanger people. Perhaps King Henry was thinking of one of its kin? Hops are a part of the Cannabaceae family and a close relative to Cannabis. Hops are the main bittering and flavoring agent in beer crafting. Just take a walk down the beer aisle to see how this weedy, scrambling vine revolutionized the brewery industry. Does beer make you feel relaxed and sleepy? It’s the hops. The female flowers which look like delicate tissue-like cones contain ingredients that have a sedative effect when inhaled or ingested. The flower is a small yellowish bloom that ripens into papery bracts called strobiles, which contain glands filled with a powdery substance; it’s that substance, containing bitter tonic chemicals, that also gives its distinctive aroma. Culture: USDA Zone 3. Herbaceous vine grows 15 to 25 feet. Full sun with well-draining soil. Easy to grow, very fast growing and vigorous. The plant will die to the ground after a first frost in the fall, the vines can be removed every winter and new shoots will emerge in the spring. Pick the papery cones-like flowers in the fall when they are fully open and ripe. 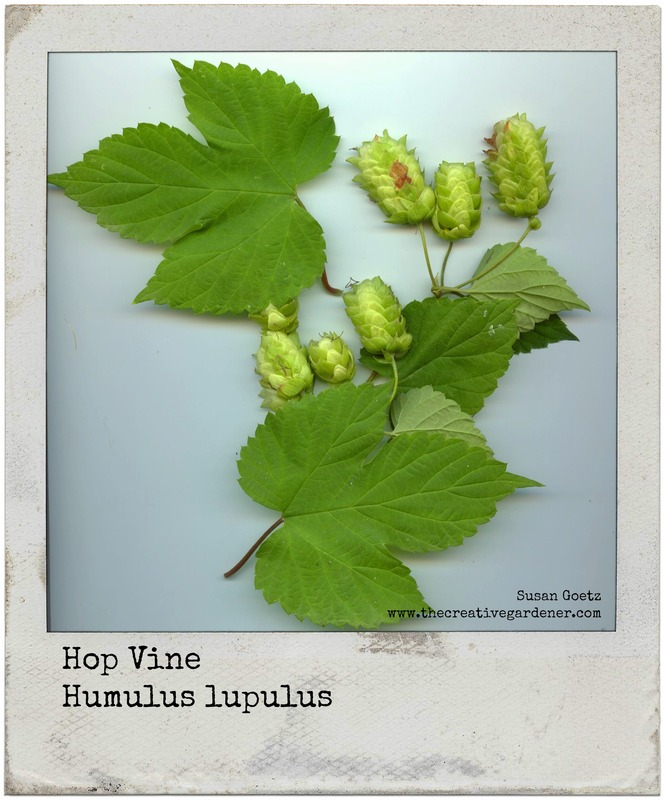 For hop dream pillows and relaxing tea, recipes and more information.